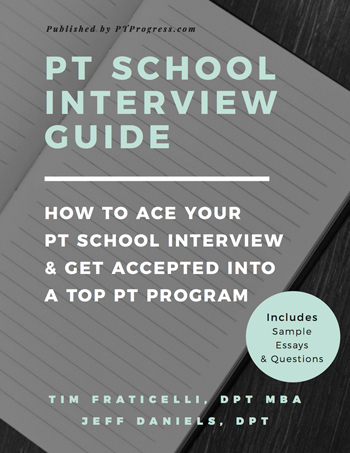 Now just because you are a biology or exercise science major, don’t assume that you’ll meet the prerequisites for any physical therapy program out there. Currently, there are 176 PT programs listed on the PTCAS (the central application service for physical therapy programs) that list out the most up to date prereqs for their program. Exactly how many semesters of each prerequisite depends on the program. Likewise, you may be able to count a non-traditional version of a course towards a prerequisite. For example, if you were an engineering major and have engineering physics or statistics, your program will likely accept those as sufficient – just email the admissions team and show them your transcript and course description. 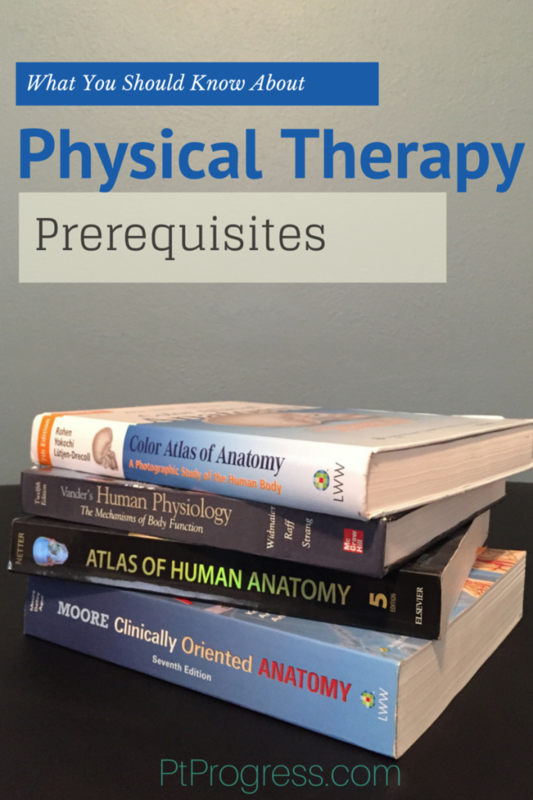 Here’s a common question I hear a lot: Are labs required for physical therapy prerequisites? • Some programs require labs (especially in anatomy, physics, and chemistry) so check with that program on what’s required. Just because one program requires more or less prerequisites doesn’t mean that it’s any better or worse than another school. The fact is that even though some programs do not require Biology, you need to understand cellular structure and function and all the major processes that a typical biology course would cover. Many of these concepts are covered within a general Physiology course (sometimes paired with Anatomy) but you can definitely expect to cover this material in very great detail in PT school. You can read my recommended college major for Physical Therapy here. You can never get enough Anatomy or Physiology. No program is going to expect you to have memorized all the muscle origins, insertions, and innervations before starting. BUT, if you spend any amount of time to understand the relationships between muscle groups, nervous structures, and vascular arrangement, you’re going to be a rockstar during your anatomy lab. I had a good idea of which PT schools I was applying to, especially since I wanted to stay in a specific geographical location. That made the process easy: I simply made a spreadsheet and listed the programs and their class requirements. My strategy was to complete as many prerequisites that were required to satisfy the school that required the most. Be warned: some programs will accept you on the basis that you will complete your prerequisites. Other programs (not many) will not accept you (or possibly wait-list you) if you have outstanding prerequisites. It is a very good idea to call the admissions team to ask this question: Are acceptance letters granted to students with outstanding prerequisites? If you have more than one or two classes left, get specific with the number outstanding. It’s better to know soon rather than wait to find out later that your missing class was the culprit. To make things simlpe and easy to understand, they’re basically the same. I’m a Kinesiology major at NIU and my emphasis’ is in Preventative and Rehabilitative Exercise Science. From the professionals I’ve talked to in the field and the random set of speakers that have been here as well (in the exercise field of course), they mentioned that Exercise Science used to be offered as a major of it’s own then became incorporated with Kinesiology. They’re going to take you in the same direction regardless, just that some schools will offer either Kinesiology as a major or just Exercise Science and not Kinesiology. The two emphasis’ here for Kine are Preventative Rehab. Exercise Science and Athletic Training.To answer your other question, I’m not 100% sure if your school offers this but the major Physical Therapy would be the best bet for a physical therapist. That major would have a more effective class list to help you in the future than Kinesiology. Don’t worry about it too much though, Kinesiology/Exercise Science are still a good choices for becoming a Physical Therapist. With a two year degree, an AA and the prerequisites can I apply to a physical therapy program?